I feel a little love for summer today and want to celebrate. Kathryn Kolb has some really wonderful images that help evoke the feeling and colors of July. Above is her lovely and lively shot of Brown Eyed Susans, captured in rural Virginia. This is one of the first images I saw of Kathryn's and I was in instant awe. Turns out this lone dandelion took a bit of work to get right. Kathryn took this image along the mountain ridge by the Tennessee and North Carolina border. As Kathryn describes, "It was a sunny day with scattered, puffy crowds and an almost continuous light wind. I had to wait for there to be no clouds and no wind at the same time for even just a fraction of a second." It took over an hour for the right conditions to be met but I do believe it was worth it. 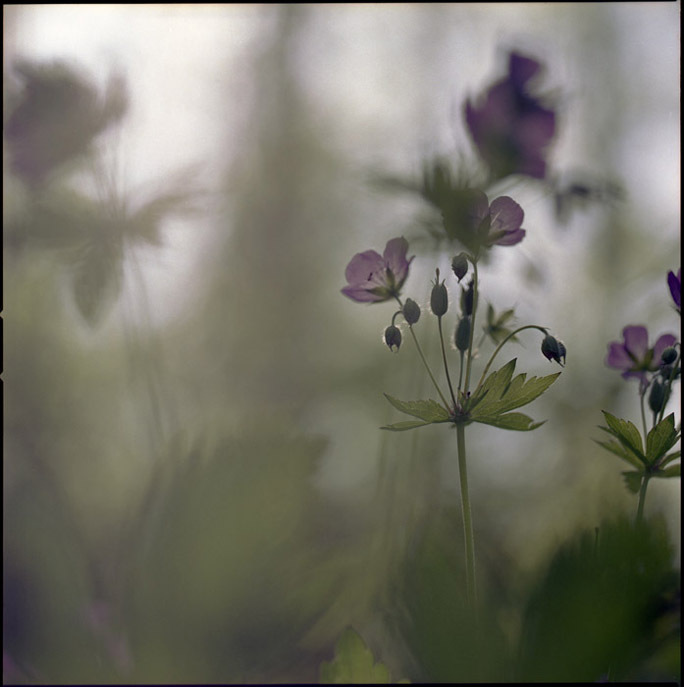 This is one of my favorites, Wild Geranium, which was shot as the sun was setting near Charlottesville, Virginia. This final one, called Purple Field, was shot along a roadside by Heards, Virigina. So perfectly pretty. See more of Kathryn's inspiring work here and enjoy the summer day!